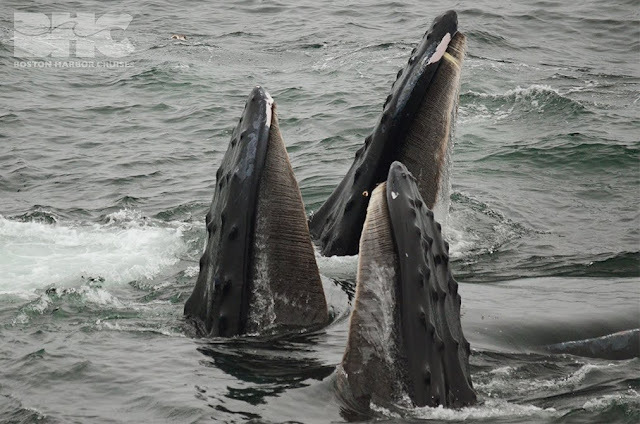 We headed out on the Sanctuary in some stiff autumn weather but we arrived on to Stellwagen Bank to scattered groups of whales for as far as the eye could see. Captain Earl masterfully maneuvered us for the best looks of multiple groups with the difficult seas and we got close looks at 15 to 17 humpback whales and 2 huge fin whales. We got to see not only bubble nets, breaches, and surface lunges but bubble nets, breaches, and surface lunges incredibly close to the boat! 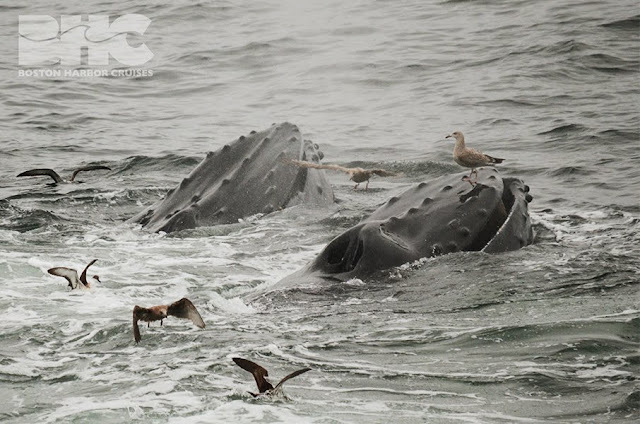 We started with Diablo and calf but moved on to Habenero and calf who were joined by another smaller whale. This group was fluking and seemed to be slowly travelling when all of a sudden we got to witness an amazing breach, the whale’s entire body breaking the surface of the water just off the bow! There were a number of whales who breached and tail lobbed during today’s trip but this was the most spectacular, unfortunately you’ll just have to believe me as I didn’t manage to get a photo. Luckily at this point we were able to move with the waves (much more comfortable!) 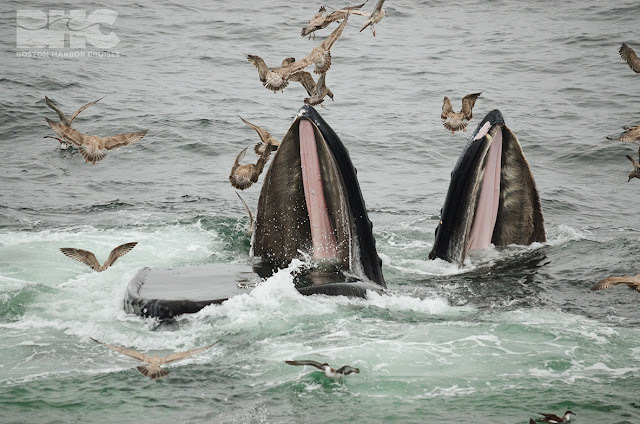 to some whales actively feeding. Here there were a multitude of whales forming bubble nets and rising open mouthed to be descended on by huge flocks of great shearwaters and gulls. We spent most of the rest of our trip with Colt, Hancock and her calf who were then joined by Komodo and Aerospace. Also in the area were Crisscross, Pixar, Reflection, and Habenero and calf again. 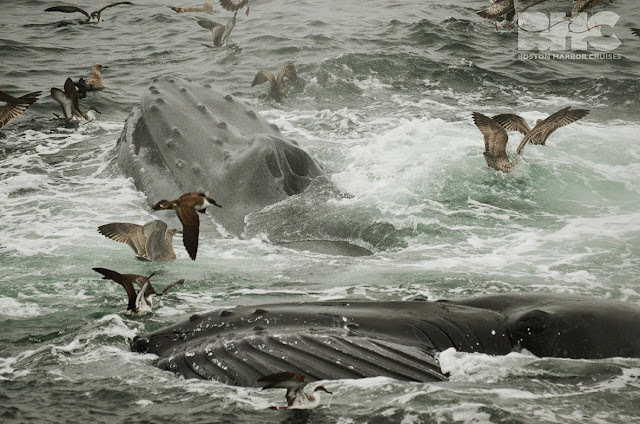 Whale watches will run through November 8 this year! Buy tickets online.